Can love resuscitate a languishing man? To see the movement in this film , you become a part of it's pace. It's smoky cold feel of the spaces explored in this film allows you to immerse yourself into the the whole international thing. 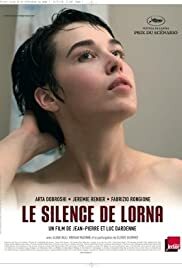 Being an American I tend to love the patience taken in these French films. They are woven and character developments take more value than just a get to the point story with a predictable ending. As usual in French movies, symbolism takes precedence over story. Still, reality is quite evident in the grim concepts displayed. Being of first generation immigrants,I can identify with the premise and the desperation involved. The lead character is brilliant in the way she gives less yet give so much in her subtle expressions. The direction is superb and the storyline leaves you wanting more. Many directors with this consistent success may often relax in their past laurels but the careful development of the pace of this murky tale is quite endearing.I would strongly recommend this movie for those who are plain cinema lovers.